Why the need for residential window repair or window screen repair? When selling your home, a home inspector will often mark windows that are fogged or broken. Window screen repairs may also be needed when selling a home. Hail storms break windows or damage window screens. Hail storm damages can require glass repairs, window replacements or screen repairs. Children and pets can damage window screens, patio screen doors or break glass windows. Time and general wear and tear can damage windows, window screens, patio screen doors and window frames. Remodeling your home? We can help install energy efficient windows or Low-E windows that help regulate temperature and make your home more comfortable. Double pane windows can fog, or they look like its raining all the time. We can help fix double pane units that have moisture in between them. What services are available for residential customers? Our in-house manufacturing team enables us to offer super-fast double pane glass repair with outstanding quality. We offer special, ultra-tough pet-proof and hail-proof window screen cloth. Window replacements due to hail damage or other damage are one of many services where we excel in speed and quality. 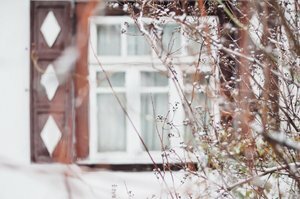 Our window repair and home window repair Colorado Springs services can help you fix annoying window problems while saving your budget. Older homes can benefit from our single pane glass repair services. When can Lightning Glassworks & Screens perform home window repair Colorado Springs? Lightning Glassworks is known for fast, quality service. We can usually quote your repair over the phone the same day you call, or we can measure and quote at your home the same or next business day from the time you call in. Our turnaround time is an industry best 1 day for emergency repairs, and an average of 1-7 business days for other repairs. No other glass repair service matches our speed and customer service. Where does Lightning Glassworks & Screens offer residential services? We service apartment buildings, commercial complexes, business and residential homes. How does the residential repair process work? We’ll give you a quote over the phone or schedule a time to inspect your home’s windows, usually on the same day you call in or the next business day. We work with your schedule! After inspecting, measuring and quoting, we’ll order new parts, manufacture new materials, or perform the needed repairs. Please note our installation FAQ. We can bill onsite and we accept credit cards, check and cash. Get your FREE estimate now! We normally reply within 24 hours on business days. Call 719-649-4001 for faster service. Due to the hail storms in 2018, we have been flooded with requests for glass repair and window replacements. Normal repair service times may be delayed. Please call 719-649-4001 for any concerns: our friendly, local customer service will be glad to answer your questions.